are significant to human culture. 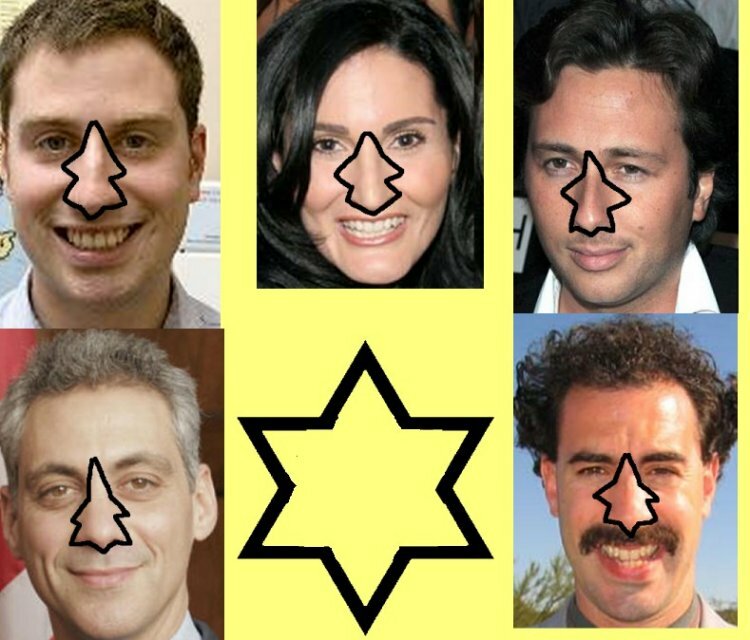 One explanation claimed the six pointed star was important because the faces of certain human beings contained six points that could be connected together with lines to form a six pointed star. Another explanation claimed the six pointed star is a representation of the human body. This post presents an alternative six pointed star that can be created by connecting points on the human body. 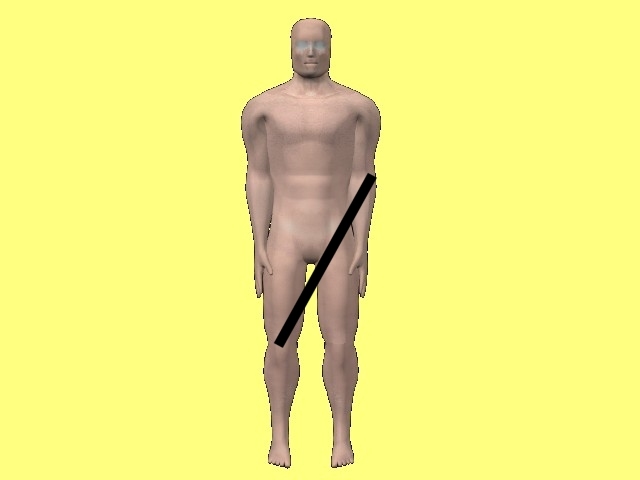 and then connecting the top of the right side of the head back down to the right knee. 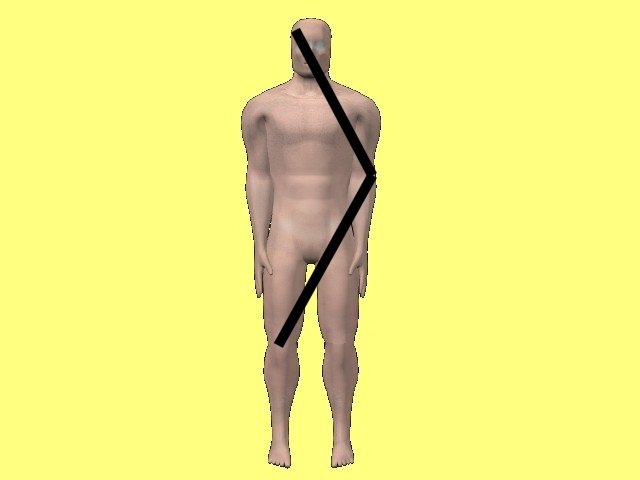 then connecting the left side of the head to the left knee. 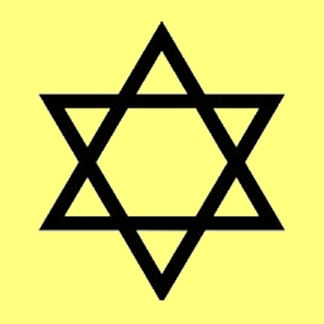 some readers may feel there is something odd about the star on the body in comparison to the six pointed star. 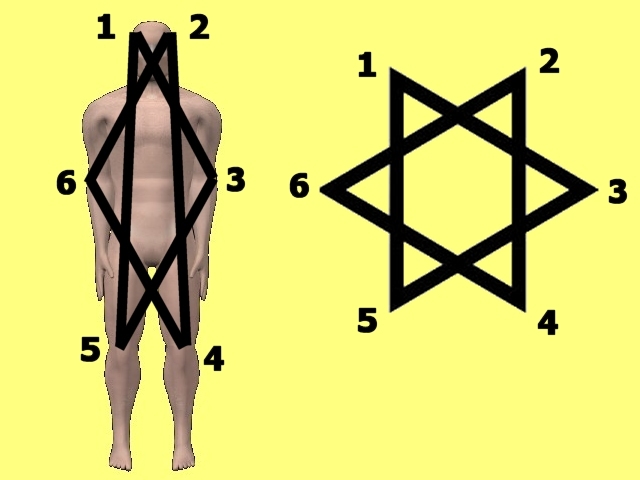 All that has to be done to allay that feeling of something wrong is to rotate the six pointed star so it has the same orientation as the one on the body and number the points on the six pointed star so they correspond to the points on the body. What seems to be a logical conclusion from the previous posts on this subject and this post? 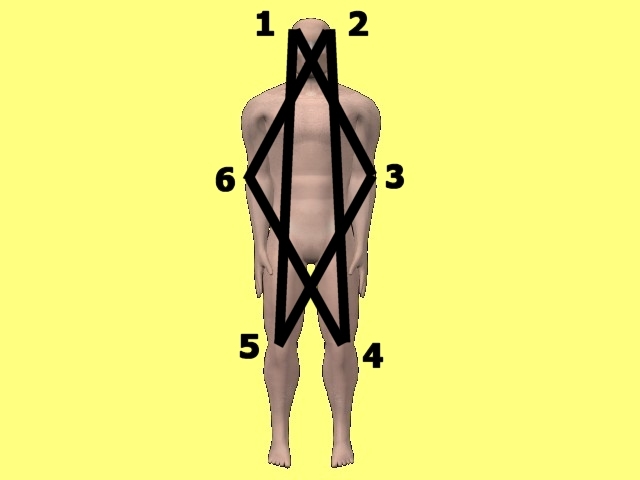 The six pointed star shape highlighted in this post is not just a shape that can be created from points on the body. 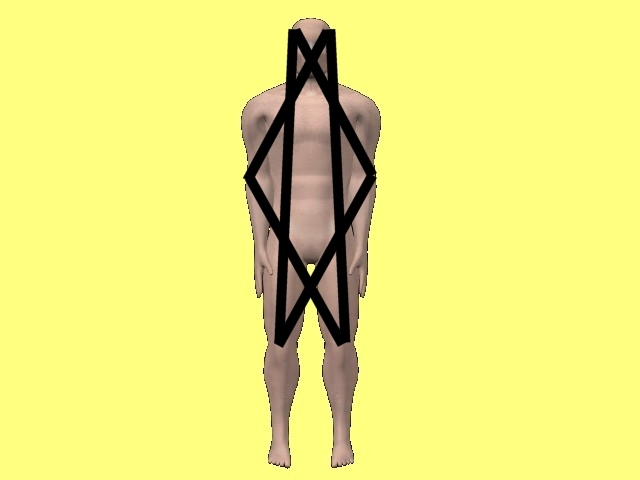 A healthy and strong human being will actually feel each triangle connecting the respective knee, elbow, and side of the head. So it would be natural for some human beings to not know anything about six pointed stars or their significance. 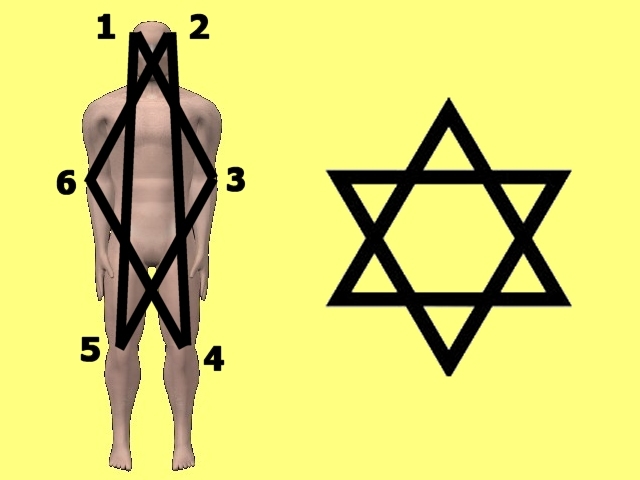 A weak human being whose body was not physically developed would never feel the triangles or six pointed stars within their own body, so they could try for a hundred years to figure out why six pointed stars are significant and they would never find the answer. 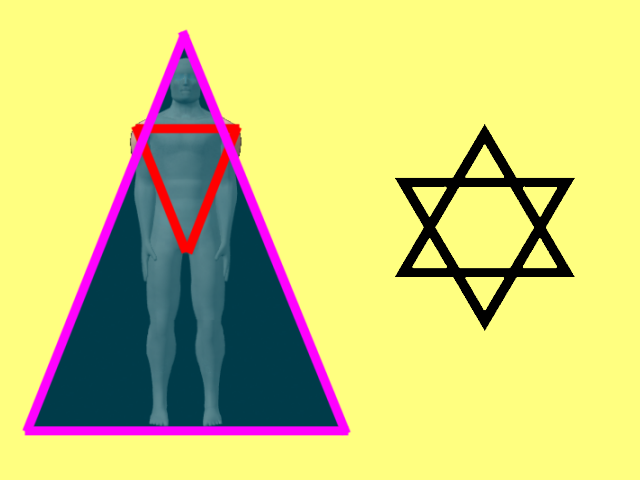 Only if they for some reason they began to physically develop and strengthen their body in the proper way that stimulates the creation of those triangles and six pointed stars, would they ever have a chance of stumbling on the reason why six pointed stars are significant to the human race. 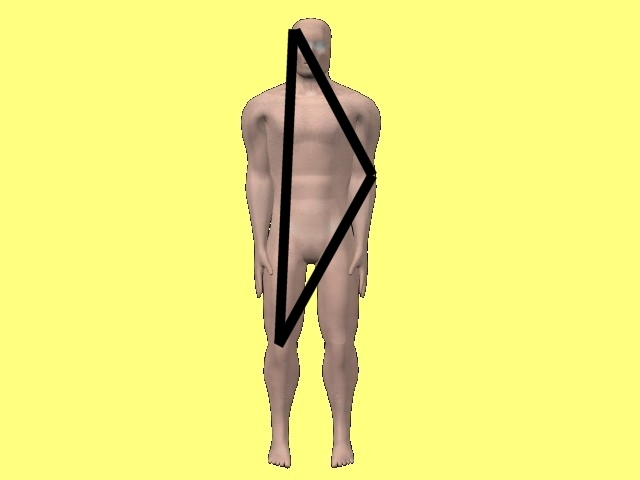 And as you some of you probably already suspect, this is not the final six pointed star in the human body, nor are the explanations that have been provided up to this point complete and thorough explanations.